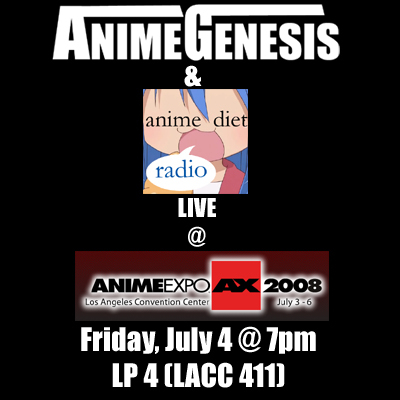 Anime Diet Radio and Anime Genesis: Live at AX 2008! So tell your friends, and tell your acquaintances, and even your enemies: we are going to be invading AX this year! And this is just one of the many things Anime Diet has planned for this year’s Expo. Stay tuned for a description of more liveblogging coverage, possible guest interviews, and of course, more videos!